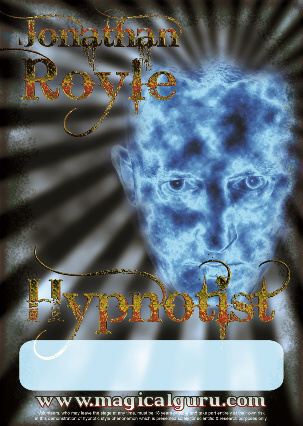 Royle’s hilarious and highly original Comedy Hypnosis Shows have consistently proven themselves to be guaranteed crowd pullers and profitable box office attractions at large capacity venues Worldwide! 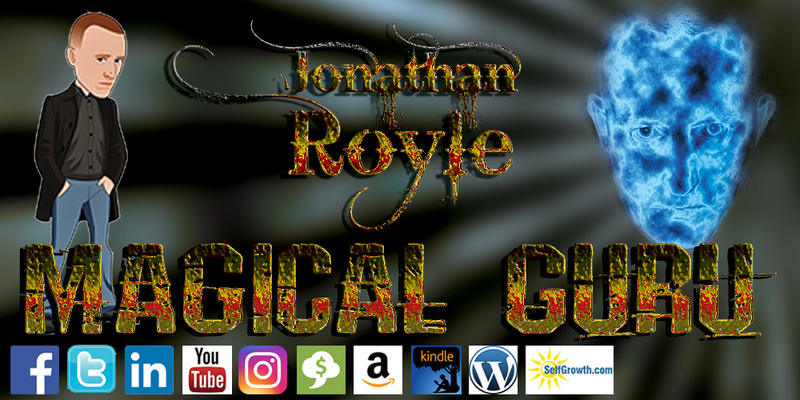 All of his shows are tailored to suit the needs of each individual client and there are shows available to suit all ages, tastes, venues & budgets so please don’t hesitate in contacting us on shows@magicalguru.com or by calling Royle’s manager on +44 (0) 7050 377 579 to discuss & clarify your needs! A show suitable for mixed family audiences, ideal for Holiday Camps, Caravan Parks, Family Theatre and many other venues! During this show Royle gets the kids involved (but does not hypnotise them) and they love it as Royle entrances their dad to give them more pocket money or to stay up later! All the Classic sketches such as people becoming Elvis or Madonna, the Hypnotist becoming invisible and the Naughty x-ray glasses are included in this show. 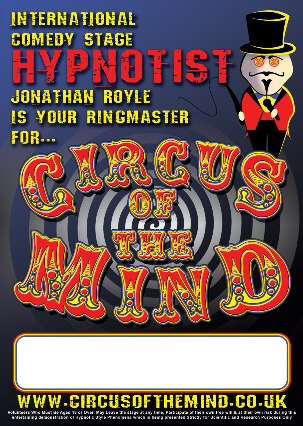 This is the show that earnt Royle his reputation as Britain’s Most Outrageous Hypnotist! The contents of this show although entirely legal are considered X-rated and as such will be presented only to audiences of 18+ adults who have been warned to stay away if easily offended! The contents of this show have proved popular at Colleges, Universities, Private Members Clubs, Nightclubs and other adult orientated venues. 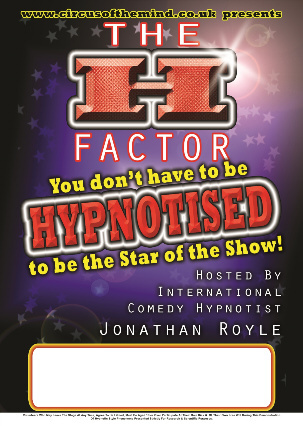 This show pushes Hypnosis to the extremes and reveals why Royle has been dubbed by many as “The Bernard Manning & Chubby Brown of Stage Hypnosis” and as such you have been warned! These are Royle’s most popular shows by far and consists of “Carry On” style double meaning humour. The contents of this show are certainly more adult orientated, but are presented in a manner so as to offend nobody! This show has proved popular for Parties, After Dinner Cabaret, Hotels, Corporate Functions and many other venues! The audience will laugh until they cry as they see men giving birth to babies, the man who thinks his testicles are talking to each other and the woman who falls in love with the Hypnotist. 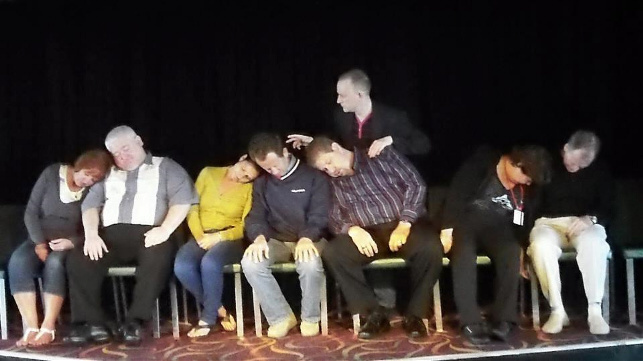 A Unique Comedy Hypnosis Show experience with a Game Show theme and voting element that involves the entire audience. 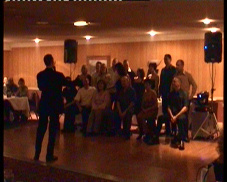 A Great choice for Corporate Team Building Events, Weddings and Family Celebrations. Royle is joined by Harrizon The Homosexual Hypnotist for an adults only show that is as Camp as a row of Pink Tents and although suitable for all Adult Comedy Venues and Audiences, is especially suited to Gay, Lesbian and Trans-Gender Friendly Venues. 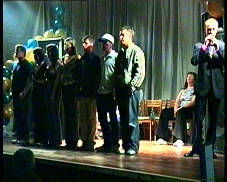 Indeed this show was a hit at the 21st Anniversary Celebrations of Manchester’s Gay Pride. 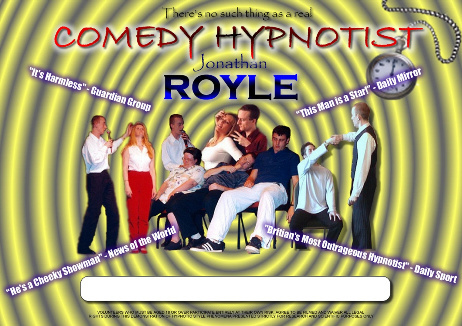 Royle is available fully self-contained for shows anywhere in the World with any of his Live Comedy Shows which can run from 45 minutes in Cabaret up to over Two Hours for Theatre venues. All-inclusive Fees start at just £1250 (within Northwest England only) and rise depending on venue, audience size, location and dates required! For Theatres box office splits start as low as 50/50 each! 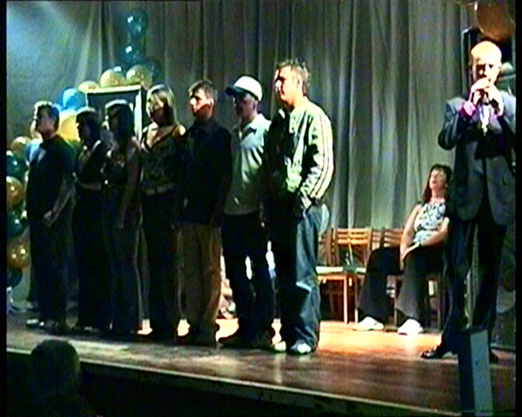 Due to the Unique nature of Royle’s Hypnotic Style Shows, it is possible to Legally and Lawfully Present these anywhere, even places where conventional Trance Hypnosis Shows are banned or not allowed. 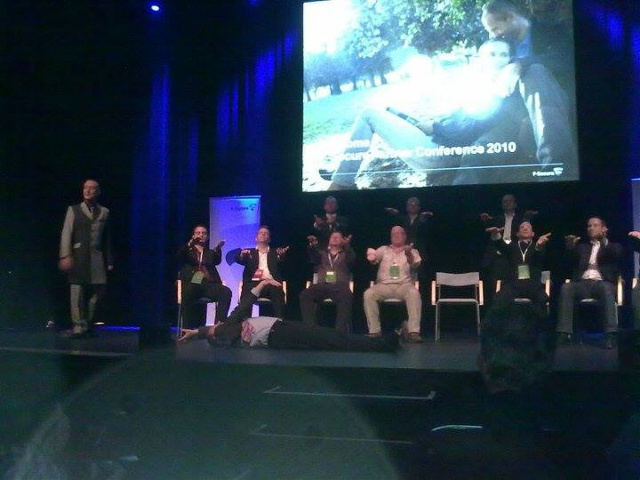 For an accurate all inclusive quote, please send details of your desired date, nature of event, audience size, intended venue and geographic location to shows@magicalguru.com or call us on +44 (0) 7050 377 579 and we’ll send you an individual quotation.